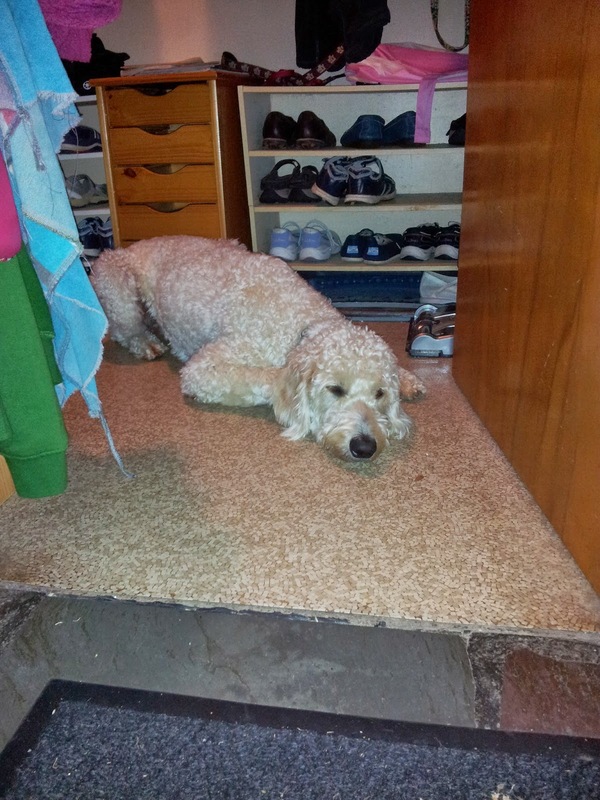 Surrounded by shoes is probably a bit too tempting for our goldendoodle despite his iron-willed self-control. Since then, Milt has found a few more comfortable resting areas, but nothing really compares to his three beds at home in Dallas. Comfort is a priority for Milt, so Mom and I have been doing our very best to make certain that he feels accommodated. When a dog has two grown adults jumping through hoops, you know that you have got the puppy love bad.